By this point, you understand the key principles of the strategy you’ll use to grow an audience of lifelong fans. If you missed anything, be sure to check out the previous pages. The hard work doesn’t stop there. 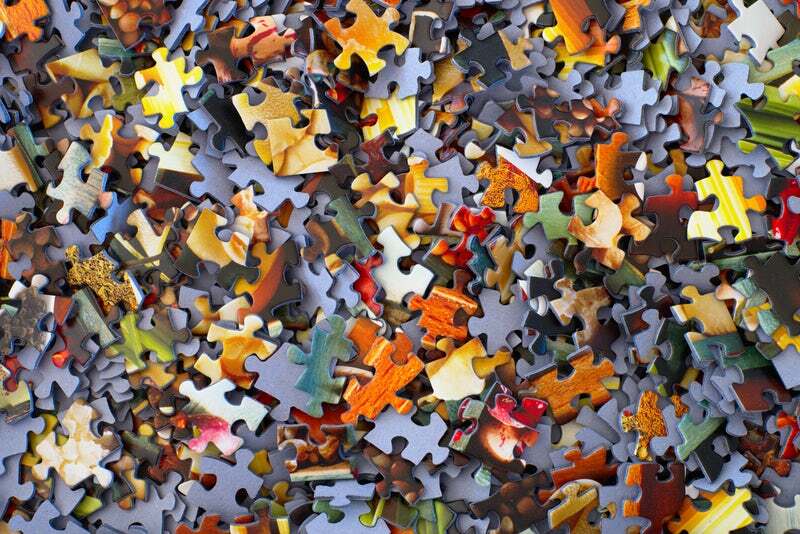 Now, you need to build a system that can implement that strategy (at scale) and automate as many processes as possible. 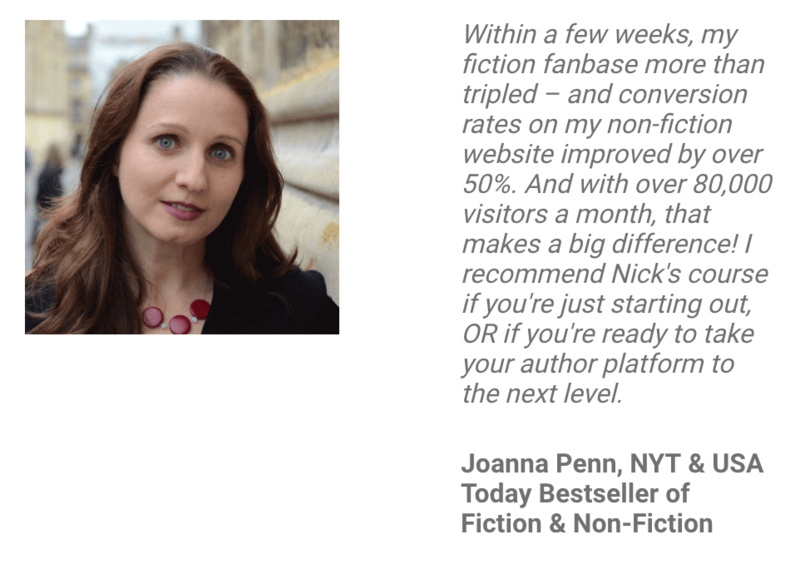 Meaning, you need a system that can generate the RIGHT kind of traffic for your books, attract and “pull” the RIGHT readers onto your platform, and then deliver consistent messaging that leads people “through the journey” towards the sale. I’d like to give you a system that’s been proven to work, so you don’t have to worry about how it all fits together. 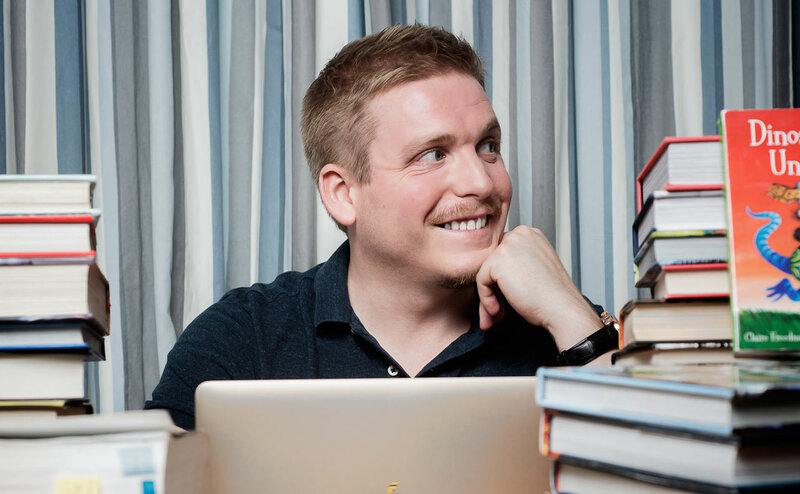 The principles we’ve talked about so far are the foundation to everything I teach – namely, attracting the right people and leading them on a journey towards a mutual value exchange (which ends up with your readers being happy and you earning money). Each “lever” of the process helps drive more traffic to your online assets, converts more of the right people into email subscribers, and gives you a replicable framework for creating email marketing campaigns that convert (without being “scammy”). 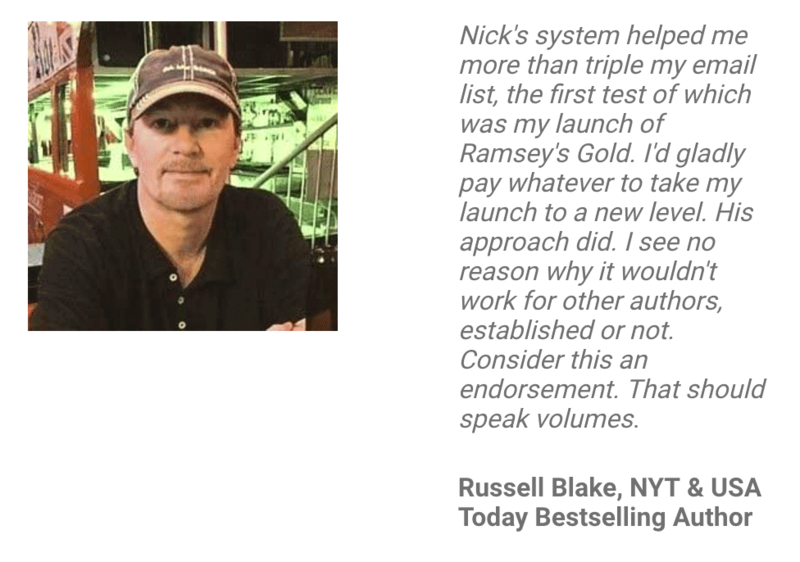 This system is called “Your First 10,000 Readers” – our flagship course – and the program reflects the methods I developed over 6+ years of releasing fiction novels, non-fiction, and then later courses and software. The principles stayed the same throughout. This “system” (or, more appropriately, a framework of methods that fit under an overall strategy) was built to solve the problems we’ve been talking about on the last 5 pages. Specifically, how to attract the RIGHT people to your work, filter through the BEST readers, then develop a follow-up process to lead your readers “along the journey” towards the sale. Then use that framework to automate as much as possible (so you can focus on other things) and allow you to scale PROFITABLY. You’ve now reached that “commitment point”. You’ll notice I practice exactly what I preach. I’ve shown you a “meta glimpse” of the principles in action already – right from the moment you landed on page 1, all the way through to here. The exercise was designed to show you ONE method of delivering the strategies we’ve talked about. In other words, if you’re reading this page, I know you’re serious about growing your readership and sales – and that you appreciate the importance of getting help where you need it. How to get exposure and get noticed – building a “traffic engine” that sends you readers and buyers day after day, without you having to “hustle” to stay above water each month. 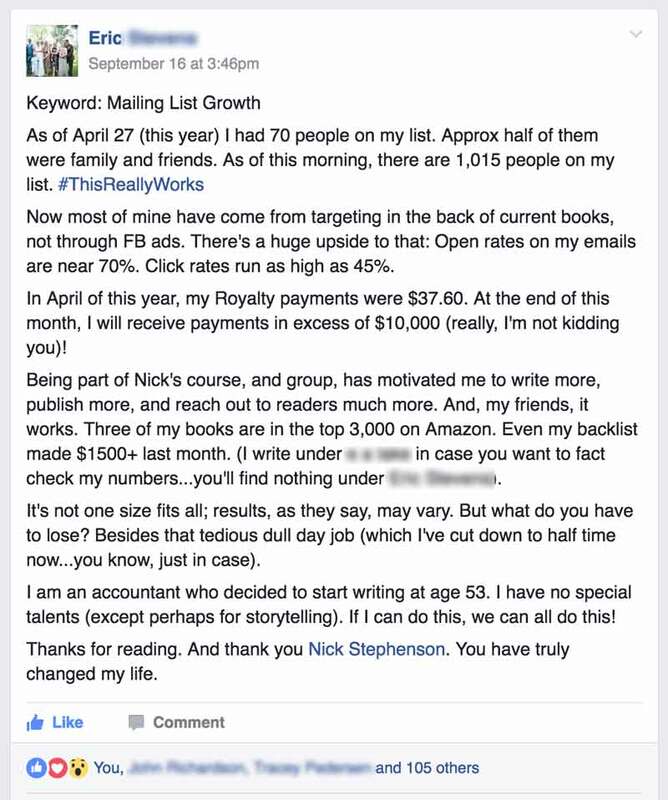 How to drive consistent, profitable, and scalable growth from book sales – for many this is “quitting the day job”, and that’s 100% possible when you have a plan in place for profitable growth. No more refreshing that KDP dashboard every six seconds, I want to show you how to build a system that will give you a longterm career. How to automate the “boring stuff” so you can focus on writing and let most of the “marketing” run on its own – guess what, almost all of what we’ve talked about can be automated to some extent. When you build your own “traffic and conversion engine” you’re free to focus on other things (like writing, or anything else you enjoy). Your First 10,000 Readers is designed for people who have decided that writing isn’t just “a hobby”, but a viable and rewarding full-time career. Even though it’s hard (and it is). Our program is for professional authors – or for those who want to become professional authors – who know they don’t want to go it alone. It’s for those who have been nodding their heads reading this material, and who want to be surrounded by others who have the same drive, commitment, and aspirations to take back control and build a worthwhile career. It doesn’t matter if you’re working on your first book or your 80th book (we have students all across the spectrum) – this program will teach you focus, strategy, and we’ll dive deep into the day-to-day tactics you need to implement to make all this happen. When everything is in place, you’ll have a system that consistently builds your audience and sales – whatever genre you write. 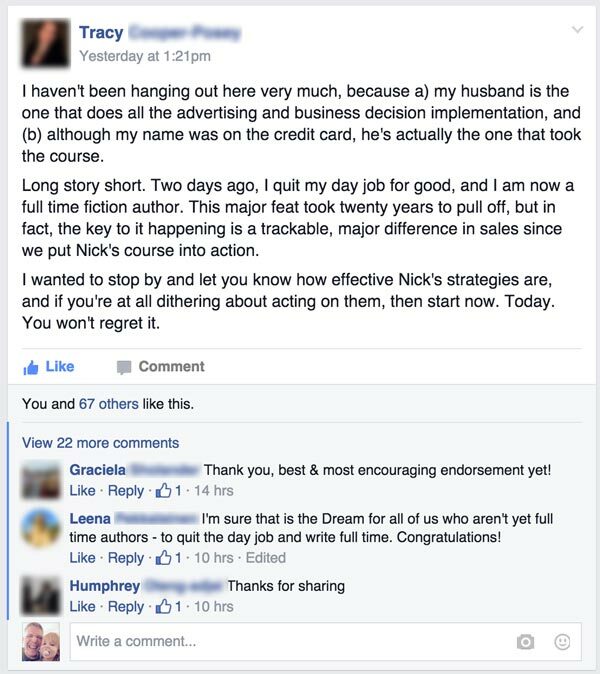 And you’ll have a support network of thousands of other authors going through the exact same thing. We’ve got your back. If it sounds like you might be the perfect fit for the program, I’d love to tell you more. All you need to do is click the button below, enter your contact details, and request your invite.